Step-by-step instructions on how to get a lost gift card back or how to replace a missing gift card. Send eGift Cards next time. They are harder to lose and easier to track. My brother called the other day to complain that he’d lost a gift card. He wanted to know if I had any tricks for getting it back. Like a crime scene investigator, to answer his question, I first needed to understand how he treated the gift card before he lost it. The situation is not good. He allegedly put the now-missing gift card in his pant pocket, but he could have thrown it on the counter next to the mail, or (most likely) he left it inside the greeting card it came in–which he can’t find either. This case is about to go cold. You’ve heard the saying, “treat gift cards like cash?” Well, it’s true. Had my brother opened a greeting card and found a 20 dollar bill inside, I doubt he would have stuffed the cash into his pocket, tossed it on the counter or left it in the card. He likely would have immediately put the money in his wallet. He should have done the very same thing with his gift card. Since he didn’t, the chances of recovery are slim, but there are a few things I can still suggest. 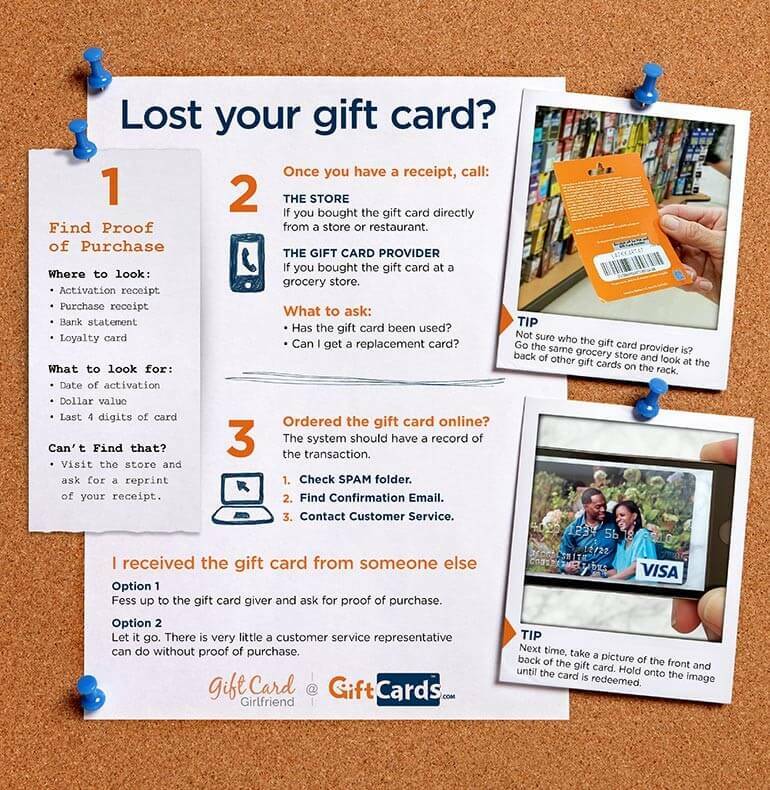 NOTE: If you bought the gift card from a gift card mall, read this post on how to replace a lost gift card from the grocery store. While I cannot guarantee you will be able to get a lost gift card back, you may be able to get it replaced if you have the gift card number, a payment receipt or the activation receipt. Without that information, replacing a lost gift card will be a challenge, but still worth the effort. Below are the steps I would take to try and get a lost gift card back. Check the Activation Receipt. 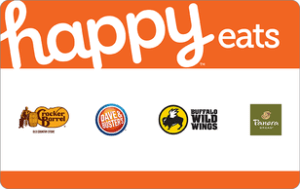 All gift cards must be activated (and funds allocated) at the time of purchase. The system that activates the card will typically record the gift card number, or a portion of it, on an activation receipt. This receipt may be printed on the bottom of the total purchase receipt or it might be a separate piece of paper. Make every effort to find this receipt. Check the Purchase Receipt. If you can’t find the activation receipt, check for any information you can find on the purchase transaction. 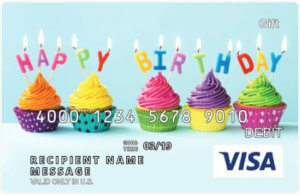 At a minimum, you should be able to identify the date, time and dollar amount of the gift card purchased. I’m hoping you’ll also find a portion of the gift card number there as well. Check Your Email. If you ordered the gift card from a website, then you are in luck. While your email receipt may not have the gift card number on it, a full record of the transaction should be easily accessible online. Check Your Bank Statement. Check the debit or credit card statement for the payment method used to purchase the gift card. Although the bank statement is not likely to have the gift card number on it, I’m hoping you’ll at least find the date, time and dollar amount of the gift card purchase. Check for a Partial Redemption. If you used part of the lost gift card at some point, the company may have a record of the purchase which might give you the gift card number used. If you used the gift card online, then the website you ordered from may still have your gift card number in their system (or may auto-fill the number if you return to the same website). It’s a long shot, but something you could try in desperation. Ask the Giver. If you didn’t purchase the gift card yourself, then you’ll have to contact the person who did in order to get that information. I realize this may be an awkward situation so you’ll have to decide whether or not the effort is worth it. If my mom gave me a card and I lost it, I’d ask her for the card information without hesitation. If an acquaintance gave me the card, then I probably wouldn’t. This one is up to you. If you find the lost gift card number, then your chances of recovering the associated funds increase significantly. If you can’t find the number, don’t give up. Gather activation, purchase and transaction data instead. Once you have the gift card number (or as much information as you can find), call customer service for the merchant that issued the gift card. Be aware that you will likely have to dig in and be prepared for more than a simple phone call. Thieves love gift cards almost as much as they love cash and gift card scams are the modus operandi du jour. So be prepared to prove that you’re one of the good guys. If the card has been used, then it’s not so much “lost” as it might have been stolen. 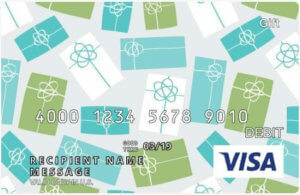 Ask the customer service representative to explain when and where the card got redeemed. In the process, you may sheepishly discover that you’re the one who used it (“Ah…that’s right, we did use the gift card on our summer vacation.”) or you may find clues as to who did. While a merchant certainly has no obligation to replace a stolen gift card, I have heard of it happening, especially if the theft mirrors a bigger fraud issue. If you purchased the gift card from a gift card mall (meaning somewhere other than directly from the merchant), you might need to talk to both the seller and the reseller because each party only has access to half of the transaction. The gift card reseller (gift card mall) should be able to provide information about the gift card activation (e.g. possibly even provide the gift card number), but they don’t know if the card has been used. Conversely, the merchant can tell you about transactions on the card and the remaining balance, but it can’t tell you information about the original purchase. Since both parties have a vested interest in providing a positive gifting experience, however, I would expect that both would be willing to help resolve the situation. While the merchant may not be willing to replace a lost gift card without having all of the information, it doesn’t hurt to ask. If your claim is legitimate and you’ve done all the work needed to track down the card number, your efforts might be rewarded. If you can’t get resolution or a replacement gift card from the gift card merchant, then perhaps your bank has a buyer protection policy that can help. If you purchased the gift card with a debit or credit card, contact your bank to see if they have a replacement option for lost or stolen merchandise. Lost (or Stolen) in the Mail? If you think the card got “lost” in the mail, file a complaint with the United States Postal Service (or other shipping company) or contact your local authorities. You should also let the merchant know that you are not the person who used the card. (“I live in California, the card was apparently used in Connecticut.”) Although you are not likely to be compensated for the missing card, perhaps your efforts will expose a bigger fraud problem and prevent others from having to endure the same disappointment. By putting the gift card in your wallet next to the credit and debit cards you use most often, you’re more likely to see the gift card on a regular basis. Seeing the gift card will help you use it in a timely manner. Using the card quickly prevents you from losing it. This is very old school, but simply writing the gift card number (and PIN, if it has one), on a notepad, in your smartphone or in a journal is a simple way to keep track of the gift card numbers you haven’t used. If you lose the physical plastic, you can always spend the gift card online or call the issuing gift card company to order a replacement. The easiest way to keep track of gift card numbers is to enter the cards into a mobile wallet or gift card app. I have used several. If you store gift cards electronically, you may be able to use the gift cards in stores without carrying the plastic plus many feature automated balance checks so I don’t have to remember how much money is on the card–the app keeps track of it for me. For this reason, I think gift card apps are useful for more than just making sure I have a way to recover a lost gift card. Somewhere between writing the gift card number down on paper and entering the cards digitally into a mobile wallet is this hybrid solution that’s a mix of both–simply take a picture of the front and back of the gift card. In your camera roll, you’ll always have a copy of the card number, customer service line and PIN, if applicable. (Be sure to scratch the PIN off before taking the picture). This is just one of 10 gift card hacks that can save you time, money and hassle! Even if you expect to use the gift card fairly quickly, it’s a good idea to register the gift card at the issuing company. 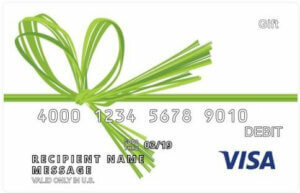 At GiftCards.com, you can register your Visa Gift Card when you activate it. Others companies do the same. It’s a lot easier to work with a company on replacing a card if they already have your customer information (and the card number) in their system. This isn’t my favorite thing to do when giving a gift because it looks…ugly, but I frequently tuck the activation receipt of a gift card into the gift card holder. This way, the recipient has a record of the purchase if anything goes wrong. If you receive the activation slip, hold onto it until the gift card is fully redeemed. Retailers and gift card issuers will be more likely to work with customers on recovering or replacing lost gift cards if there is proof that the gift card story is legitimate. That proof comes in the shape of knowing the gift card number, when it was purchased, the dollar amount on the card, and so forth. Without that information, asking for a replacement gift card is like asking for a replacement 20 dollar bill…not likely to happen. Better to avoid that situation entirely by keeping better track of the gift card in the first place. As for my brother, he is out of luck. He didn’t treat the gift card like cash, he didn’t write down the number or get an activation receipt and he hadn’t registered the gift card anywhere. All he got out of this particular gift card is a lesson learned. If you have any experience on getting a lost or stolen gift card replaced, let me know about it in the comments below or reach out to me on Twitter (@GCGirlfriend). Perhaps your story will help us all learn something new.